Roll out the tartan rugs… it’s National Picnic Week. Although, to be fair, a picnic might not be the first thing that springs to mind looking at the grey clouds today. But dodging the showers is all part of the experience that is a British picnic. If nothing else, the rain should keep the wasps away. And, just in case you decide to brave the weather and celebrate National Picnic Week with an outdoor feast, the nice people at Higgidy have put together a guide to some top picnic spots, along with some ideas for perfect picnic recipes. Even better, the picnic guide is free – you can find it here. My children have grown out of the stage where a picnic makes for a fun and exciting trip out. Suggesting that we pack up some sandwiches, crisps and a bottle of water for a day out is generally met with a weary “do we have to?” But, if we’re in town and the shopping is taking longer than expected, a break for lunch is the sort of picnic they do enjoy. 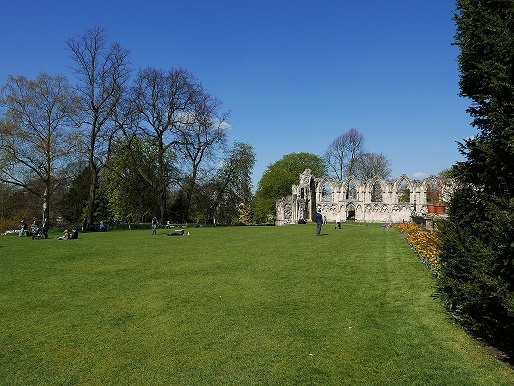 If the weather is good we head to the Museum Gardens in York for a perfect picnic spot. 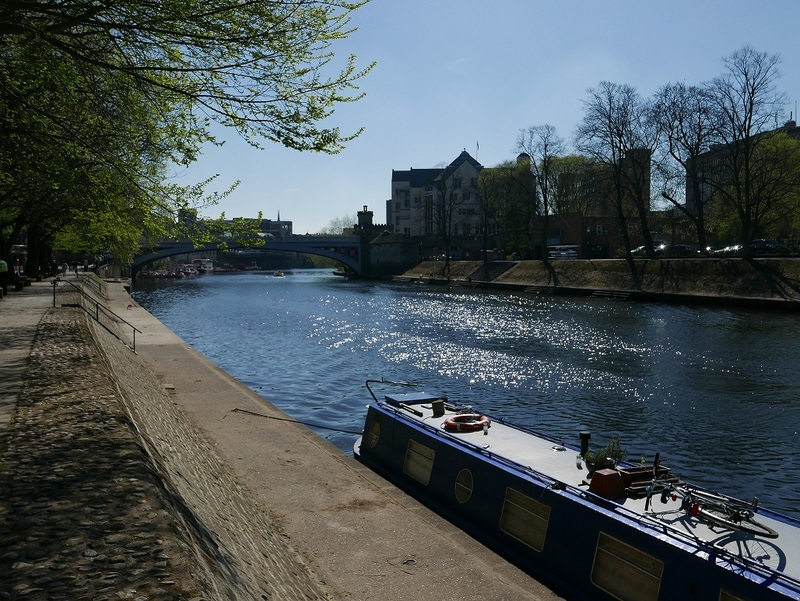 The gardens slope gently down from the Yorkshire Museum and York Art Gallery to the River Ouse. 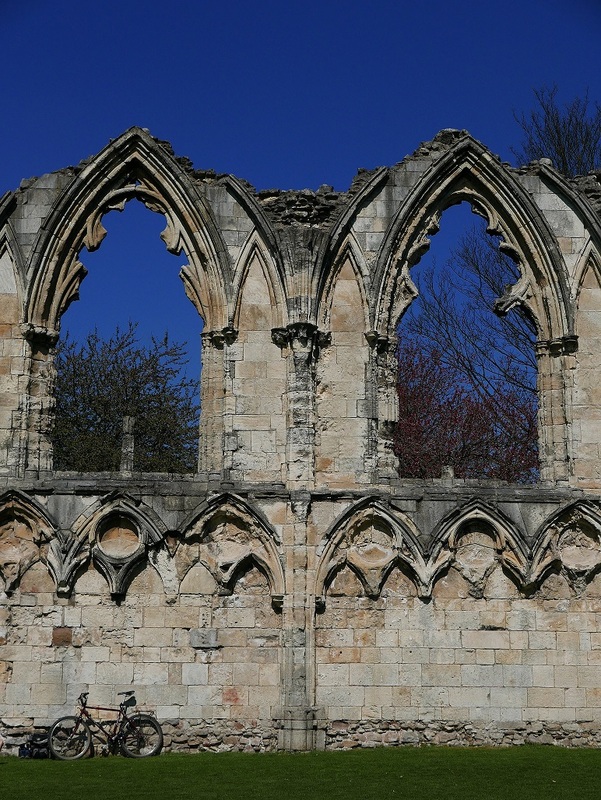 The walls of the ruins of St Mary’s Abbey make a fine backdrop to an al fresco lunch, or if it’s too busy there are benches by the river where we can sit and watch the boats go by. One of the great things about a city picnic is that you don’t have to be one of those super-organised people who has all the food planned and prepared in advance. York has a wonderful array of delis and bakeries, along with regular food markets, so picnic provisions are easy to come by. Whether the picnic is homemade, or an impromptu shop-bought feast, there are a few things I try to remember to bring along from home. Filling water bottles from the tap before heading out saves paying for bottled water, and avoids the temptation to buy sugary, fizzy drinks. A small pack of wet wipes usually come in handy… when you have young children you kind of expect them to make less mess when they get older, but it doesn’t seem to work that way. And a bag for rubbish is always good to have ready. Even if there’s nothing for the bin, banana skins and apple cores can be bagged up and taken home to add to the compost heap. So, as the weekend approaches and National Picnic Week draws to a close, where would you head to for your perfect picnic? If you can remind those in charge of the weather that some of us don’t mind missing spring but would like some summer weather before the autumn arrives, I’ll organise the picnic on the beach. York is a great place to visit. A walk around the wall past Micklegate is good. Nice cafe in the tower on the bridge as well!! We could very well be having a picnic in one of the very places you mention today. Pity the sun isn’t out but York Festival of Ideas should be fun (finding out about Anglo-Saxon food and drink). Well I would like to cross the pond and have a picnic in those lovely surroundings. oooh wrong time of the year here for picnics, but what a wonderful initiative to encourage people to get out! and you have shown such beautiful spots…i’m wistful now for lovely sunny outdoors weather! National Picnic week sounds a lovely idea! I’d have to go for somewhere shady on a hot summer’s day, preferably with a cooling stream nearby to dabble toes and wash fingers after lunch. Now all we need is that hot summer’s day and some time off work!